I’m feeling a little preachy today, so if you are not in the mood, you might not want to read any further. 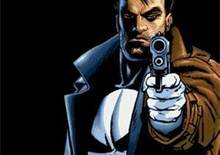 I’ll forgive you with a promise of something more light-hearted and less didactic in the near future. However, if you dare, read on. Momma G’s on a tirade. When my kids wer e little, a local store advertised a sale on comic books. Thinking of “Casper the Friendly Ghost,” “Superman” and “Archie,” I carted the kids across town with the promise that they could each pick out a comic book or two to read on a hot summer afternoon. When we arrived at the store, I was disappointed to find that the selection was limited to violent story lines with aggressive main characters who pursued women with huge breasts and tight clothing. I explained to my children that we would not be buying any comic books and herded them back to the car. They were angry and disappointed that I had broken my promise, and I knew a valid explanation was in order. Knowing it was lunch time, I asked if they were hungry. They stated that they were, so I asked what they would do if for lunch I served rotten hot dogs and slimy garbage. Horrified, they said that they could not eat garbage, because it would make them throw up. I agreed, and used analogy to help them understand that if we fed their minds garbage, then garbage would come out in their thoughts and actions. Earlier this week the internet was afire with a video of teenagers tormenting Karen Klein, a sixty-eight year old bus monitor. Our hearts broke as we watched her wipe tears from her cheeks while four middle school students pummeled her with verbal assaults and threats of physical violence. And while subsequent reports quoted the offenders’ and their parents’ apologies, we will not easily forget that our American youth can be so despicably unkind. But what do we expect? Our culture has taken our right to free speech and pushed it beyond the boundaries of common decency with an “anything goes” mentality. Our Facebook pages are peppered with tirades. Adults and teenagers publicly punctuate their verbal outbursts with swears, cuss words and crude references to body parts whenever they please- no matter who is nearby. And our television is permeated shows that transform ill behaving adults and children into pop culture idols. Miniature divas scream, stamp their feet and command their parents to give them whatever they desire, and then are rewarded with crowns, money and fame. Dance teachers scream at students and their parents, while the students and parents scream right back at them. 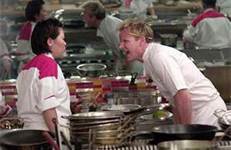 “Housewives” overturn tables and hurl insults at each other, and chefs spit profanities and insults at cowering chef wannabes. This is reality TV at its best… or its worst. As adults we watch these programs, tsk-tsk at the ill-behaved, and laugh at their antics. But what we fail to realize is that we are raising an entire generation who will process this behavior as acceptable. Children do not have the maturity to differentiate between “reality TV” and reality, nor do they automatically know how to censor themselves. Any parent knows that children are drawn to swear words like moths are to flames. Babies might jabber unintelligible chatter ninety-nine percent of the time, but you can bet that the one clear word that your cherub can pronounce will be the curse that escaped when you stubbed your toe on the leg to his changing table. Just think of what your seven-year old can learn by watching an hour of cable TV! If ill behavior was limited to television, we might have a chance, but we are assaulted at every turn. I was grocery shopping last week when a man walked toward me in the dry cereal aisle. As I searched for the Cheerios, he spouted a steady stream of f-bombs for everyone to hear. I looked around to find who he was yelling at, but I was the only one in the aisle. I felt a flash of panic, wondering why he could be hollering at me, until he reached my shopping cart and I saw the blue tooth poking from his ear. I have heard mothers swear in the Pediatrics waiting room, totally oblivious to the fact that their wide-eyed children are watching their every move. People react to the inconvenience of a delayed flight by dressing down the airline representative at the ticket counter. On the highway, people behind us flash their lights and tailgate, as if to say “Get moving! My agenda is much more important than yours.” People have even posted swears and insulting comments on my WordPress blog, although I cannot imagine why, since reading it is purely voluntary. So what do we do? Are we hopelessly doomed? Will the Gen Xers give way to the Gen X-rated? I am skeptical, but I do believe we can reverse the poison that has seeped into our culture. It takes work- work to find the words to express our frustration while still maintaining our integrity. Work to change the TV channel to a program that enlightens, encourages, entertains and educates our children with acceptable standards of behavior. Work to show our children that they are precious gems that don’t deserve to be fed garbage. Now if you’ll excuse me, there’s a re-run of “To Kill a Mockingbird” on television. Maybe if I watch it again, I’ll be a little more like Atticus Finch. 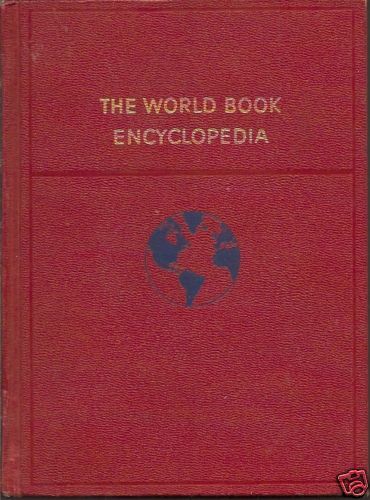 When I was growing up, my siblings and I frequently perused the pages of the World Book Encyclopedia, devouring articles that told of far-away places and intriguing science experiments. One of my favorite sections was one on the five senses. Time and time again, I would read the chapter, staring at the examples of optical illusions and sampling foods with my eyes closed. We all know that our senses are strong- a familiar perfume, a sip of a drink, the softness of a favorite pair of jeans- senses can set off myriad memories and transport us to days that have hidden in the archives of our memories since we were young children. Last Saturday, I had one of those sensory transports as I visited my sister Martha-Jean at her country home in Northwood. It was a beautiful day and as we sipped iced coffee on her deck, I watched the breeze ruffle the leaves of the silver maple tree in her back yard. The fluttering leaves sang a familiar song and immediately my mind went back to the house where we grew up- the house at 30 Green Street. The house at 30 Green Street was an old New Englander, built as housing for foremen who worked at Ellis Mills, a textile factory that produced rich and luxurious wool fabrics. I was a child during the end of the woolen mills era. The mill was a mighty giant that sat at the foot of Dye House Hill- big, strong, and to me, a little scary. At night its windows lit the sky with a pale industrial glow as its walls echoed with electrical hums and rhythmic banging. During the day my siblings and I stood on the bridge across from the mill and watch as the fabric dye cascaded into the Chicopee Brook. It seemed to me that the sleepless giant would always be there, but when synthetic blends wooed textile consumers away from expensive wools, the mills closed. The whirring and banging were silenced and the darkened night sky snuffed the glow from the windows. In the back yard of our house was a large silver maple tree, and when the sounds from Ellis Mills ceased, the rustling of its leaves whispered a lullaby that drifted through my bedroom window. The tree’s shelter created a stage for Martha-Jean to act as Pied Piper in her wonderful imaginations. Under its branches, we created a pirate ship where we made Robin and Scott walk the plank we had fashioned from wooden boards found in the garage. We tied Teri to the trunk, declaring her to be our ship’s pet monkey, and served bread and water to the crew- neighbor kids who brought sticks to use as oars. Under the tree we built a doctor’s office and made poultices from mashed catalpa tree flowers, rubbing them on each other’s mosquito bites, convinced that the sap would stop the itching. We spread blankets on the ground and played with baby dolls, sprinkling real talc upon their plastic bottoms and pinning cloth diapers that we stole from our baby brother’s bassinette. 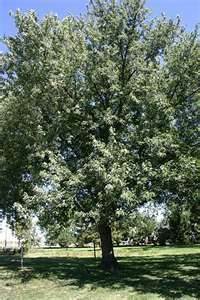 When he was eight, my brother Scott climbed the silver maple. He sat in its swaying branches, higher than the house roof while my mother stood below, yelling that if he did not fall and kill himself, she might just do the job herself. And it was under the silver maple that Kevin and Eric were caught having sword fights with two-foot long barbecue skewers, and were subsequently grounded for most of the summer. In the winter I would lie on my bed and stare at the bare branches of the silver maple, looking for the twining tendrils to outline shapes against the frigid sky. Here was a castle, here an old man’s hat, and there a horse’s head. The shapes disappeared with the wind, and then reappeared when the branches stopped dancing in the breeze, creating endless distraction from my homework. 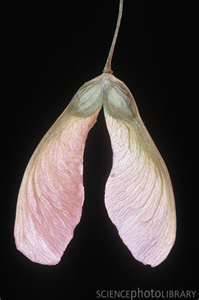 In the spring, the helicopter seed pods would flutter from the tree to the ground. We split the seeds in half, keeping them attached to the blade, and placed them on our noses like the horns on a rhino. And in the fall, when the October winds turned inky black and smelled of bonfires and pumpkin, the bare branches of the tree moaned warnings of witches and ghosts, urging me to quicken my steps when it was my turn to take the trash to the back yard burn barrel. “Oh, I like it. It takes me back,” I sighed. I wondered if the silver maple at 30 Green Street was still standing, or if it, like Ellis Mills, had outworn its usefulness. The whisper of the tree’s branches were suddenly sad to me- a swan song announcing the end of yet another era. “C’mon, let’s go pick some strawberries,” she urged. When I was a little girl starlings built nests in the roof of our front porch. 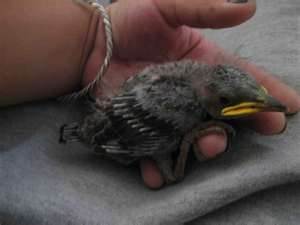 One summer morning, I found a baby bird lying on the porch floor, having fallen from its nest. The bird struggled to fly, but being too young, only succeeded in flopping around in small hopeless circles. I gathered it up, and gently put it into a shoe box lined with an old face cloth. I tried feeding it with milk soaked bread, but the bird did not survive, and I tearfully buried it in the back yard, in the burial place reserved for pet guinea pigs, mice and gold fish. I thought about the baby bird and Randy Stonehill’s song “Starlings” as I watched the video for Ed Sheeran’s “The A Team.” http://www.youtube.com/watch?v=UAWcs5H-qgQ&feature=related. Although written a generation apart, their themes are common, turning back a corner to the shroud behind which the homeless and addicted hide. They sadden me, and yet, I cannot ignore them. When I was a younger woman, I regarded such people with distant sympathy. I felt sorry for them, but figured they pretty much were to blame for their own misfortunes. From the safety of my ivory tower, I donated to shelters, prayed for them in church, and sadly shook my head, wondering why somebody doesn’t do something. One summer, Gabe came home from college and asked me to buy him some lightweight clothes. “I just bought him shorts and tee shirts last summer. Surely he couldn’t have worn them out in such a short time!” I mused, but I agreed and together we went to the mall. As I handed my debit card to the cashier, I finally asked Gabe what happened to the wardrobe he had brought to school. His face reddened, and he explained that while he had participated in a ministry program earlier that spring, he gave most of his clothes away to a group of homeless men. While I verbally applauded my son’s desire to put his beliefs into action, I secretly resented the fact that I was stretching my budget to supply clothes for a bunch of men who weren’t willing to work for their own. Several months later a young woman called my office, looking for help. She was the age of my youngest daughter. Haltingly she explained that she had left home several months ago and had been staying on the couch in a friend’s West Side apartment. Caught up in a cycle of addiction, she was jobless and homeless, and had finally attempted suicide by taking a cocktail of drugs and alcohol. The suicide attempt failed- she woke the next morning feeling horribly sick and discouraged. “I can’t even kill myself right,” she sobbed. As I listened to her, I realized how young and frightened she was. She sounded much like my own daughters might, when the pressures of life crush against them, suffocating them in a dark cloak of despair. I talked her into going to the emergency room, and made her promise me that she would call me when she arrived. She agreed and thanked me, telling me that she felt like I really cared what happens to her. Long after we hung up I thought about this. What was the difference between this young woman and my daughters? Certainly, there were differences in some of their life choices, but the more I thought about them, the more I realized that the line between their lives and hers was very fine indeed. But for one or two different decisions, this woman, who felt so hopeless that she tried to end her life could easily be my daughter. That realization opened a whole new world of clarity for me. 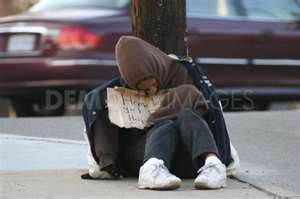 How had I not realized the men and women who live on the street are somebody’s children? They were born the way my children were, were raised in similar families, with similar schools. Perhaps it is only one choice- one seemingly small decision- that makes the difference between sleeping beneath an overpass and earning a Master’s degree. I can no longer look at people with addiction with disdain. I can no longer turn my eyes to the ground when a stranger asks for spare change. I can no longer look through the prostitutes as though they do not exist. And I have to wonder about these people- these starlings who fall from their nests- who will pick them up when they struggle to once again fly? And who will weep for them if they fail? If not me, then who?